Best Android Data Recovery Software to Recover Data. 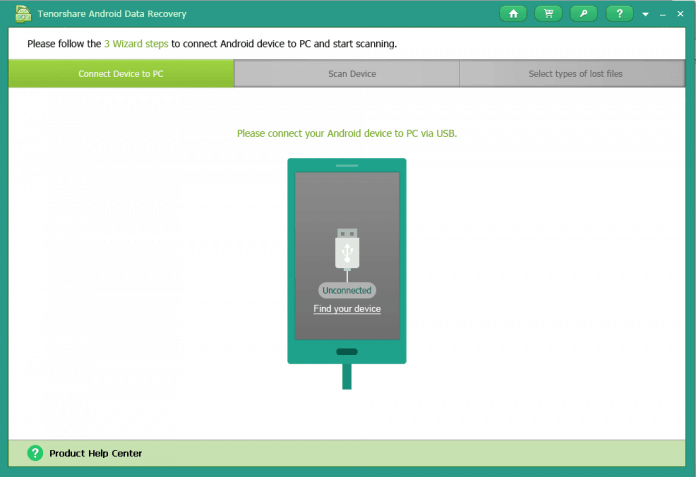 Tenoshare’s Android Data Recovery is the Best Android Recovery Software. Android Data Recovery software’s help us get back the lost data. Every Android user might have come across a situation where he/she might have lost all of his data, including the images, videos, chats, whatsapp messages and other files. We will be talking about Tenoshare’s Android Data Recovery Software which is one of the best android data recovery software out here. Android is a bag full of happiness for us. It has made our lives simpler to the extent that we could have only imagined. The design was done keeping in mind touchscreen devices. It is designed by Google was was launched for the first time in September, 2008. Yes, it has been 7 years of Android! Android picked up pace and today it the largest installed OS leaving behind iOS and Windows. Android just keeps getting better day-by-day with software and version updates. We turn to our Android for anything and everything round the clock. Whether it be setting reminders, sending emails, setting alarms for the following day. Emails have become a necessary part of our lives ever since Android has come into lives. The additional Google features like YouTube, Google Plus, etc are something which we use on a daily basis. Another very wonderful creation of technology is cloud storage, and for us it is Google Drive. Google allows up to store 15 GB of our personal data in their servers. We can store anything there like – Photos, Contacts, Messages, Reminders and many more. We can even store Wi-Fi passwords. All we have to do is a regular sync for any fresh data. When we change from one Android device to another, we can get all our data with a simple Log In into our Google Accounts. This increasing dependency has also made us very vulnerable. We have all our data and information in our phones or in the Google servers. Sometimes it so happens that your data is lost. Data loss can occur due to various reasons. For example, you change your handset and some of the latest new data is not saved in the Google servers or you may delete some data by mistake or your phone falls in the hands of a child/someone by mistake and they delete the data or in case of unexpected phone theft. Let’s talk about Tenoshare Software now. The company’s slogan is ‘Better Software, Better Life!’. The company makes software to recover data (contacts, messages, photos, videos, call history, notes) lost in not only Android but also iOS, Macbooks, Windows and even card data recovery. They also promise to keep your information secure and ignore spam. They have another policy according to which you get a 90 day money back guarantee after purchase. Or, you can also go for 14 day trial pack for any software. Tenoshare also offers you round the clock assistance via emails by highly qualified representatives. Recover Contacts, SMS, Photos, WhatsApp, Game Data and Much More ~ Tenoshare. Tenoshare software unlike other software just doesn’t offer you the way to get back your lost apps and storage data, but it also helps you recover the lost sms, contacts, photos (without loss of quality) & WhatsApp Messages. Recover lost WhatsApp messages? What? Yeah, you will be able to recover the lost WhatsApp Chats using Tenoshare. NOt JUST LIMITED TO ONE PARTICULAR PHONE BRAND, TENOSHARE works on Phones manufactured by any company. Tenoshare software’s Android recovery software works with all android phones. It is not just limited to any particular brand i.e. Samsung or HTC or Xiaomi or OnePlus, The software is available to users with smartphones of any brand. So even if your friend lose his data, you can use this software to get back/recover the lost data which is not a case with softwares provided by many manufacturers. BUY TENOSHARE ANDROID RECOVERY SOFTWARE. Spending $49.95 is totally worth, We at Droidmen will be giving away 5 License codes to 5 of our readers, We will soon announce the giveaway of the Best Android Recovery Software: Tenoshare’s License codes. We will also come up with a guide “To Recover Lost Android Data using Tenoshare’s Android Data Recovery software” soon. The Tenoshare's Android Data Recovery software is an ultimate solution to people who have lost their precious data because of any reason, however it requires access to root of your phone to get the lost data. Previous article5 Best Car Racing Games for Android Phones.